This year the Edible Gardening team has been taking part in project called ‘Scotland the Bread’. The majority of the bread we eat in Scotland is made from imported wheat (the wheat that is grown in Scotland usually goes to animal feed). ‘Scotland the Bread’ aims to produce better quality home grown wheat for bread production. 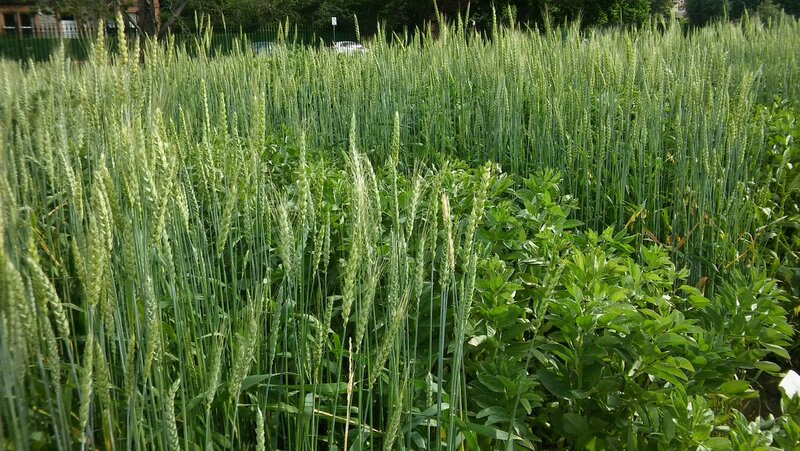 The project involves trialling a range of heritage and unusual varieties of wheat to see if they will grow well in Scotland and produce nutritious grains. 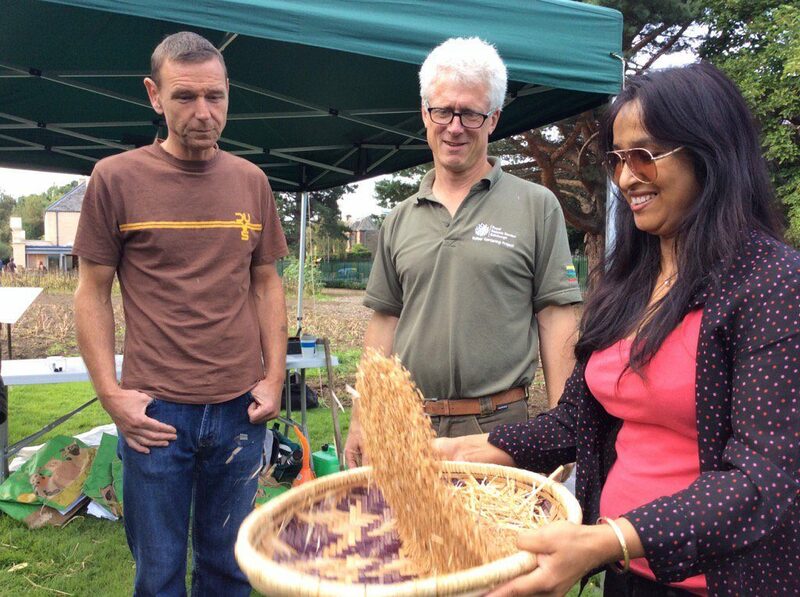 In the Edible Garden we grew a variety of wheat from Sweden that has previously been shown to have a very high nutrient content. We sowed 250g of seed into a 40.5m2 plot in May. It germinated in 4 days and continued to grow well throughout the summer. Once the grains had formed we left it to mature for long as possible outside. At the beginning of September as the autumn weather started to turn we brought the harvest into the Botanic Cottage to finish drying. The wheat was threshed (grain removed from the stalks) with ‘Scotland the Bread’s’ mobile thresher during the Harvest Festival. This generated a lot of interest as many people have not seen this stage in the production of a crop that makes up much of our diet. After threshing we ended up with 10kg of grain. The grain is now being stored. It will be milled (turned into flour) on 4th December in the Botanic Cottage at our Scotland’s Bread drop in event. (see http://www.rbge.org.uk/whats-on/event-details/4473 for more information). We will then, hopefully, be able to make about 20 sourdough loaves* from the wheat that we grew. *Genuine sourdough bread is made using natural yeasts and lactic acid bacteria during an extended flour fermentation. It is thought to be more nutritious than some other methods of bread production.